The inimitable Dawn Upshaw and her long-time partner pianist Gilbert Kalish bring a program inspired by folk songs to Jordan Hall next weekend in what constitutes Upshaw’s eighth appearance for the Celebrity Series, though she has not appeared in a CS recital here since 2011. Rarely performed Hungarian pieces by Bartók, Kodály, beloved works by Schubert, a William Bolcom set, and a premier of a work commissioned for the duo by Sheila Silver are on the agenda. Dawn Upshaw answered a few questions for the Intelligencer. I’m not aware that you ever played an operatic bad girl. Does that appeal to you as a role against type? I’m very flattered that you think of me as such a “good” girl. In the best of roles, there is enough depth of character that we can see and empathize with the character’s struggle in trying to make good choices over poor ones. No one is perfect, not even Anne Trulove. I find my work most gratifying when working with a good director who understands the challenges that are an inherent part of human nature. It’s old news now, but please remind us what you did with your MacArthur Grant. The beautiful thing about the MacArthur Foundation is that it asks no questions at all nor demands any explanation of how their funds are used. Their unconditional faith is, itself, the strongest affirmation of the recipient’s work. You will me making your eighth appearance with the Boston Celebrity Series. Tell us something about your bond with this city. 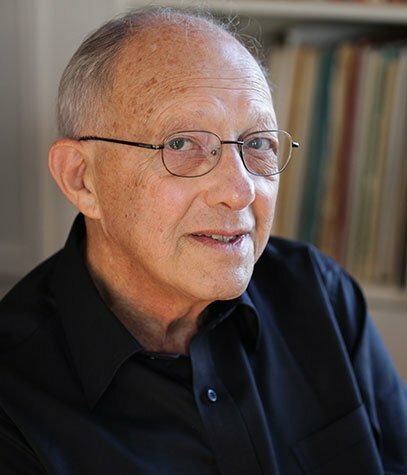 Pianist Gilbert Kalish seems to relish intense relationships with singers. His partnership with Jan de Gaetani was justly celebrated. Your long term connection with him deserves some elucidation. Aside from the opening Schubert set, your 4 language-program is all 20th and 21st, century. What are the organizing principles? Tell us about Sheila Silver whose you will be premiering for us. Do you get a lot of submissions from composers? Do you actively commissions yourself? I do sometimes commission projects, and have done so over the years. Sheila Silver is a close friend and colleague of Gil’s, and I’ve known her for quite a long time, too. She wrote these as a gift to Gil, in memory of Diane Kalish. 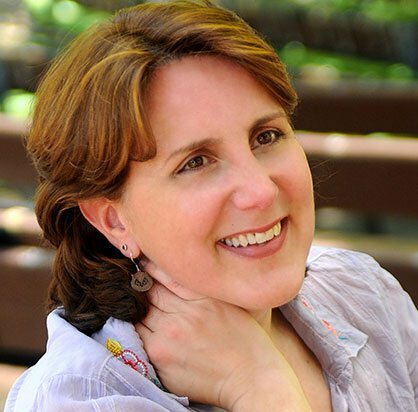 Dawn Upshaw has achieved worldwide celebrity as a singer of opera and concert repertoire ranging from the sacred works of Bach to the freshest sounds of today. Her ability to reach to the heart of music and text has earned her both the devotion of an exceptionally diverse audience, and the awards and distinctions accorded to only the most distinguished of artists. In 2007, she was named a Fellow of the MacArthur Foundation, the first vocal artist to be awarded the five-year “genius” prize, and in 2008 she was named a Fellow of the American Academy of Arts & Sciences. She is a favored partner of many leading musicians, including Gilbert Kalish, the Kronos Quartet, James Levine, and Esa-Pekka Salonen. In her work as a recitalist, and particularly in her work with composers, Dawn Upshaw has become a generative force in concert music, having premiered more than 25 works in the past decade. From Carnegie Hall to large and small venues throughout the world she regularly presents specially designed programs composed of lieder, contemporary works in many languages, and folk and popular music. She furthers this work in master classes and workshops with young singers at major music festivals, conservatories, and liberal arts colleges. She is Artistic Director of the Vocal Arts Program at the Bard College Conservatory of Music, and the Head of the Vocal Arts Program at the Tanglewood Music Center. A five-time Grammy Award winner, she most recently received the 2014 Best Classical Vocal Solo Grammy for Maria Schneider’s Winter Morning Walks on the ArtistShare Label. She is featured on more than 50 recordings, including the million-selling Symphony No. 3 by Henryk Gorecki for Nonesuch Records. Her discography also includes full-length opera recordings of Mozart’s Le nozze di Figaro; Messiaen’s St. Francois d’Assise; Stravinsky’s The Rake’s Progress; John Adams’s El Niño; two volumes of Canteloube’s “Songs of the Auvergne,” a dozen recital recordings, and an acclaimed three-disc series of Osvaldo Golijov’s music for Deutsche Grammophon. Ms. Upshaw has recorded extensively for the Nonesuch label. She may also be heard on Angel/EMI, BMG, Deutsche Grammophon, London, Sony Classical, Telarc, and on Erato and Teldec in the Warner Classics Family of labels. Dawn Upshaw holds honorary doctorate degrees from Yale, the Manhattan School of Music, the Juilliard School, Allegheny College, and Illinois Wesleyan University. She began her career as a 1984 winner of the Young Concert Artists Auditions and the 1985 Walter W. Naumburg Competition, and was a member of the Metropolitan Opera Young Artists Development Program. She is currently the head of the vocal program at the Tanglewood Music Center and Artistic Director, Graduate Vocal Arts Program at the Bard College Conservatory of Music.